Self-service business intelligence (BI) is all the rage these days, with self-service generally equated to usability. However, research suggests that effective self-service requires broader underpinnings than just usability and that organizations may overemphasize usability while overlooking other key requirements. 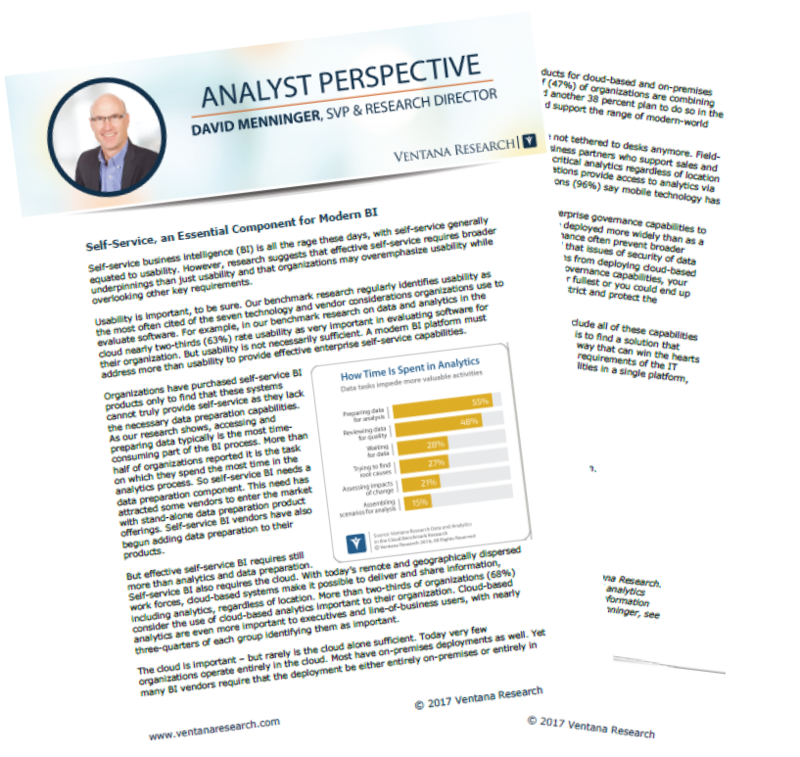 Download the Viewpoint, and improve your business intelligence today.